As a person ages, they may decide that living in their own home is no longer the most optimal situation. Upkeep and maintenance often become too much, and many seniors don’t want the responsibility of being homeowners. However, they are still very active, relatively healthy and able to care for themselves. 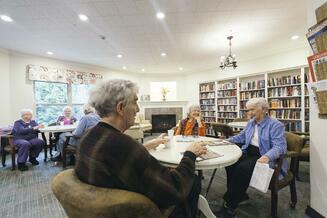 They are not ready to move into an assisted living residence or care setting. The best option might be independent living. It’s important to learn about this type of community so you are prepared and know what to expect. Independent living communities do exactly as their name suggests: they allow you to live independently. 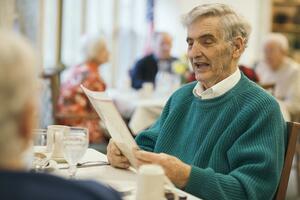 They differ from all of the assisted living options in several ways. While people who live in either community may have an apartment-style residence, independent living communities offer truly independent living. Each resident has their own living space such as an apartment home or cottage with the option of coming together with other residents in a community. These places may also be referred to as retirement communities or senior apartments. Some criteria may need to be met such as age and income requirements, but their residence is their own private living space. With assisted living services, the resident may also live in an apartment-style home, which may or may not include a full kitchen. However, they often have common dining areas and increased staffing to help with residents’ needs. Independent living communities provide services that allow residents to live on their own for longer. This includes landscaping and property maintenance, housekeeping and laundry services and security. They usually have special activities and events that are designed for older residents. Assisted living communities provide assistance with daily activities and have a full-time staff to see to the needs of the residents. They may help with bathing and dressing or medication assistance. In addition, they provide three meals per day to all residents along with housekeeping and laundry services. They generally have trained medical personnel onsite and a licensed nurse either onsite or on-call 24/7. The staff takes care of laundry and even has medical personnel on-call. There may be special areas for those with memory problems, but there isn’t usually intense care for those with severe mental or physical conditions. There are two primary benefits of independent living. First, the resident has fewer responsibilities such as upkeep of their home. They no longer have to worry about mowing the lawn or caring for the landscaping. They aren’t responsible for replacing a roof or other home repairs, though they do have to report any maintenance issues involving the inside of the home. A second benefit is the socialization aspect. When you live on your own, you may feel isolated from people your own age once you retire. You may not get out as much and have fewer people to talk to. In independent living, your neighbors are all your age. You have a nearby common area where you can mingle with people who have similar interests and experiences. In essence, an independent living community helps a person continue to enjoy a high-quality life while living independently. The cost of independent living can vary based on the size of the residence and the number and type of amenities the community provides. Unlike assisted living where costs are often based on the services available, independent living communities often charge one price based on where the person will be living. Amenities are usually included in the price with no up-charges. This means you can use the swimming pool, the spa and fitness room for the same cost. Because you are able to care for your own personal needs, the cost is usually lower than with assisted living. Just remember when calculating the cost for living in an independent living community, you should deduct the expenses you have when living in your own home. This includes the annual property taxes and insurance as well as payments for lawn and maintenance services if you cannot do the work yourself. Once you deduct out all of these expenses, independent living often seems more affordable. Moving to an independent living community is a personal decision. No one can tell you now is the right time. It’s a decision you have to make on your own. You’re still able to manage your day-to-day tasks and are alert enough to take care of your own responsibilities. One of the signs that now may be the time to consider independent living is if you’re tired of dealing with the upkeep of your home. Taking care of the lawn or arranging for lawn care can be a big hassle. In the winter, you have to deal with the cold weather elements and how they impact your home. When the physical and financial challenges of being a homeowner become too much, it’s a sign that independent living may be right for you. Another sign is feeling isolated and alone. If you own or rent a home in a mixed community, you may feel you have no one your age to visit with. You may not get out as much to visit friends, so you end up feeling lonely. An independent living community puts people your own age right in your path even if you can’t get out as much as you would like. If this idea appeals to you, it may be a sign that it’s time to move. While all independent living communities are similar, they are also very different from each other. You must look closely at those differences to find the best community for you. This should not be a rash decision, but rather one made after careful consideration and in-depth research. First, you want to look at the housing options. Some may provide apartments in one building or separate buildings while others offer small single-family homes in a gated community. The type and amount of space will help you determine if the community is right for you. The included amenities will also factor in on which community is best. Some places offer more activities and events than others. You may find a community with regular meetings for various hobbies as well as on-site amenities like a swimming pool and fitness room. 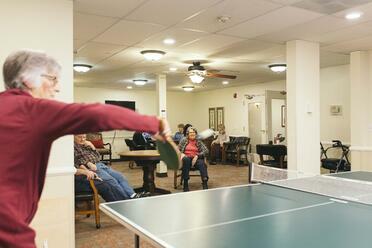 They may feature tennis courts or even golf courses to keep seniors active. Don’t forget to think about the location. Is it close to grocery stores, medical clinics and other places you will go to on a regular basis? Many communities provide transportation for seniors who no longer wish to drive, but don’t assume all do. Weigh in all of these factors along with the costs to determine which independent living communities best fit your needs. Before making a final decision, visit them to see firsthand what life is like. Talk to the staff to help you decide where you will be most happy in the next phase of your life. Once you’ve decided to take this next step and move into independent living, the real work begins. You will need to apply to live in the community, and you may be put on a wait list. Once you’re approved, you’ll find out the timeline for the move. You must make a decision on what you will do with your current home if you own it. You probably won’t have room for all of your belongings in the new place, so you’ll need to decide what to take and what to do with the rest. 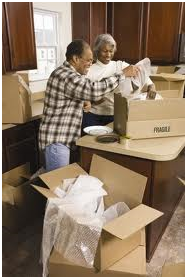 If you made the decision to move into an independent living community on your own, now is the time to introduce the idea to your adult children and enlist their help with moving. Some people like to put the funds from the sale of their home into a trust to manage their expenses for the future. If this is your plan, you’ll need to choose an administrator to handle the trust. It can be a child or someone outside of the family. Realize that even if you made the decision to move to independent living, it will be a major change. You may feel a sense of loss from selling your home, and permit yourself to grieve. However, you should also focus on the new life ahead of you and all of the positives that come with living in an independent living community. Get out and meet your new neighbors and attend events in your new community to help you feel more at home. One of the factors in choosing an independent living community is whether assisted living care is also provided. If you select a place that offers both, it can make transitioning to assisted living easier when the time comes. 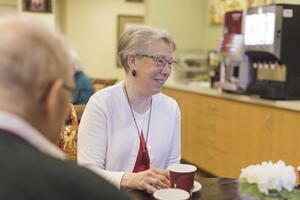 For one thing, you will be top priority if there is a waiting list for assisted care. Your wait time will usually be shorter than if you must move to a completely different facility. Another benefit is that you will already know some of the staff and how things are done. You will have firsthand experience instead of relying solely on the reputation or other people’s recommendation. This can give you and your loved ones peace of mind as you transition to the next phase of life. 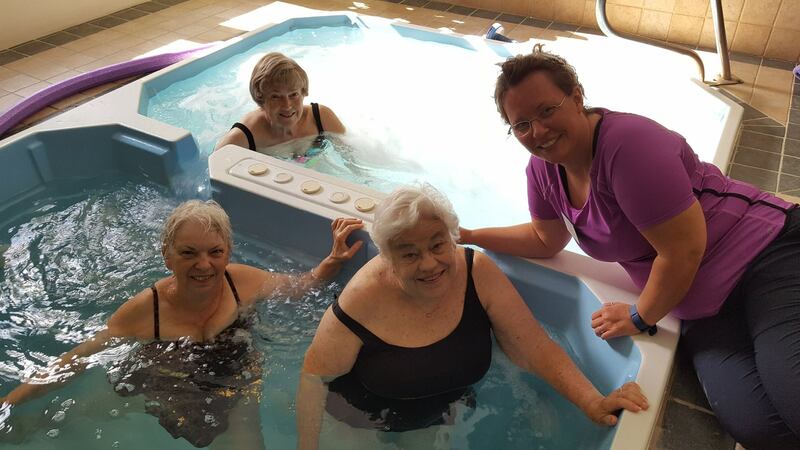 Living in an independent living community is much like living on your own. You can come and go as you please and be independent as the name implies. However, you won’t have all of the challenges that come with living on your own. There will be no maintenance and upkeep of the property or worries about how to pay for those things. You’ll know how much everything is going to cost ahead of time, which makes budgeting easier. You will also be able to join in on special events and activities geared towards your age group. You can make new friends and enjoy these activities together. 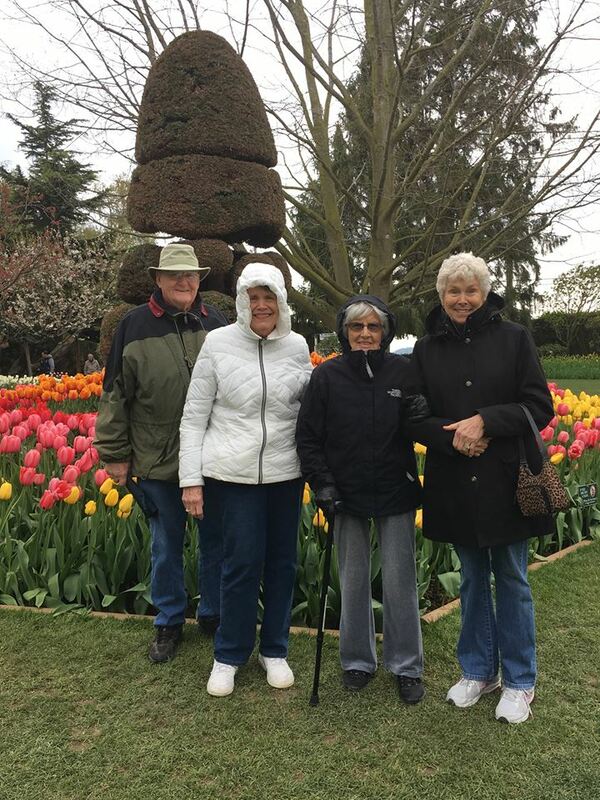 Living in this type of community allows you to focus on the fun of retirement without all of the work and limitations. Staying in touch with your adult children, other family and friends should not be difficult in an independent living community. They can still call you and come to visit on a regular basis. There are very few restrictions in these communities. You will need to find out the rules covering guests, and how long they may stay or if they must check in when they arrive. Generally, most communities are relaxed regarding visitors, even overnight guests. Many independent living communities even allow someone to stay with you if you need special care. For instance, you may need assistance after a surgery and your adult child agrees to stay with you for a few months. As long as you notify the staff in the community, there is no problem with having a long-term guest. The goal of these communities is to allow you to live independently for as long as possible, and the rules and policies work towards meeting that goal. If you’ve decided that moving to an independent living community is the next step in your life, learn as much as you can about what to expect in such an environment. These communities can provide the structure and flexibility you need to continue to live on your own and enjoy life. They offer the right amenities to give you the freedom to live life on your terms in a safe and secure place. These communities also enable you to move into the next phase of your life with confidence and a positive attitude.